CONROE, TX –The 3rd Annual Rising Stars and Legends of Texas will be presented in various venues throughout Downtown Conroe beginning Saturday, March 9th through Saturday March 16th offering opportunities for the public to experience the arts organizations represented by the Greater Conroe Arts Alliance (GCAA). Each one will present their own unique fine art, poetry, theatrical presentations, cinematography, music compositions, instrumental music, choral performances, and Texas history through live performances during the week all in Downtown Conroe venues. The Greater Conroe Arts Alliance represents 17 non-profit organizations in the Conroe area: Christian Youth Theatre, Conroe Art League, Conroe Live, Conroe Symphony Orchestra, Crighton Theatre Foundation, Friends of the Flag Foundation, Heritage Museum of Montgomery County, Jazz Connection, Montgomery County Choral Society, Montgomery County Genealogical and Historical Society, Montgomery County Historical Commission, Montgomery County Literary Arts Council, The Players Theatre Company, Sounds of Texas Music Series, Stage Right of Texas, The Woodlands Show Chorus, and the Young Texas Artists Music Competition. The Bach, Beethoven, and BBQ Annual Fundraiser event kicks off the “Rising Stars and Legends of Texas” on March 9th benefitting the Young Texas Artists Music Competition. 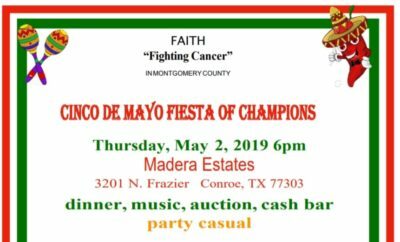 Reception begins at 5:00 p.m. at Martin’s Event Hall, then continues to the tent in the street in front of Martin’s to continue with dinner, dancing and a live auction. The Young Texas Artists Competition Finals will then begin at 7:30 p.m. at the Crighton Theatre. The entire package of events including the After Party Dance can be purchased at www.YTAMC.com/bach-beethoven-barbecue. Those wanting to attend just the finals at the Crighton may purchase tickets at CrightonTheatre.org. Rising Stars and Legends of Texas continues on Wednesday, March 13 with a newly added Gospel Night at First Baptist Church of Conroe at 7:00pm. The Montgomery County Choral Society, The Woodlands Show Chorus, church choirs, ensembles, and duos bring a night of music with a love offering to benefit the GCAA. Another new addition is a Crighton Gong Show with local talents hosted by Stage Right at the Crighton Theatre. Anyone is welcome to be a contestant, and Karaoke is encouraged! Participants may contact Phil Clarke at philsclarke@att.net. On Thursday, March 14, performance poet Outspoken Bean will appear at The Corner Pub in Conroe at 5:00 p.m., hosted by the Montgomery County Literary Arts Council. Bean mentors the Meta-4 poetry slam teams and works with Writers in the Schools. Friday, March 15 will feature a Variety Night with the Conroe Symphony Orchestra, Glitz! Quartet from The Woodlands Show Chorus, and special appearance by The McTeggart Irish Dancers all performing at the Crighton Theatre. The week concludes with a culmination of many of the organizations participating in interactive events Saturday, March 16 beginning at 8:00 a.m. at Founder’s Plaza Park with Chalk Up Conroe and ending with Pam Tillis at the Crighton Theatre, presented by the Sounds of Texas Music Series. Many events are free to the public. Any of the events at the Crighton Theatre or the Owen Theatre will have a fee attached from $5 to $24. Exceptions are the Young Texas Artists BBQ fundraiser, and Pam Tillis. 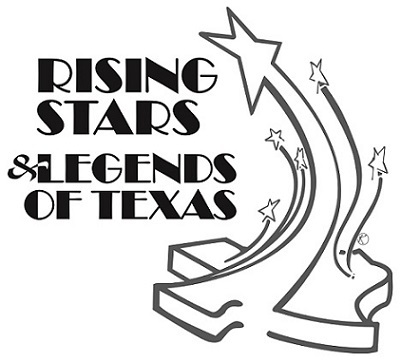 Sponsors for the Rising Stars & Legends of Texas include The Corner Pub, Conroe Live, First Financial Bank, Lone Star College Montgomery, Mack Barnhill State Farm Insurance, Soules Insurance, Woodforest National Bank, and the City of Conroe. Grant funds were contributed from The City of Conroe Convention and Visitors Bureau Hotel Occupancy Taxes. Learn more about Greater Conroe Arts Alliance by visiting their website at www.GreaterConroeArtsAlliance.com.